Many churches lack a crucial element central to the flourishing of women: older women mentoring younger women. 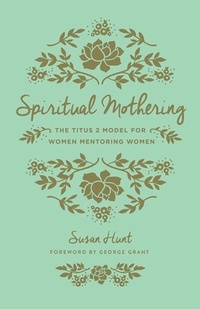 Using Titus 2 as a guide, seasoned author Susan Hunt casts a biblical vision of what the church can be when women invest in vibrant relationships with one another. Featuring inspiring stories from the Bible and from women today who have faithfully embraced Scripture’s command, this book offers readers an abundance of practical insights, ministry-tested how-to’s, and personal encouragement. Now featuring a new cover, this classic book will inspire a new generation of women to seek out the blessing of godly relationships that will encourage and equip them to live for God’s glory.